Last month, Anime Limited launched a kickstarter to fund a special edition release of Patema Inverted, Yasuhiro Yoshiura’s award winning anime feature film. The goal was £16,000 and Anime Limited managed to get over twice that, at £38,265 plus Paypal pledges, when the Kickstarter closed yesterday. It’s a fantastic amount, but unfortunately it fell tantalisingly short of the £40,000 stretch goal to add the official soundtrack CD. But let’s get to last week’s reviews, beginning with Blue Exorcist: The Movie. The series was short and sweet, which normally wouldn’t bode well for a movie, but its production values were high, and the popularity of the original manga can’t be discounted. This isn’t a situation where you can do a quick, Naruto movie style cash-in, and Blue Exorcist The Movie steps up to the mark to deliver a heartfelt, and moving stand-alone adventure, which sees hero Rin Okamura get acquainted with the cutest demon that you could possible imagine. Movies can be spun off popular series, and so can OVA episodes, which are a more economical way to deliver more of your favourite characters in handy bite size chunks. Girls Und Panzer is one of the better shows that have come out this year, fitting right into the pure, unadulterated fun category, Who’d have thunk that cute girls and tanks go together so well? 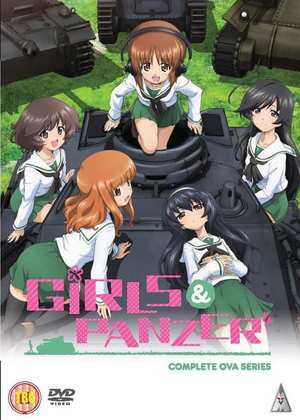 For the Girls Und Panzer OVAs it’s more of the cute girls, and less of the tanks in these six short episodes. Can it still be as much fun without the tanks? 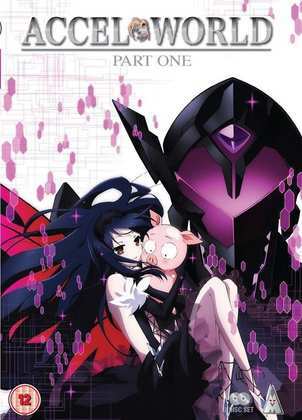 Finally I took a look at Accel World: Part 1. It’s ostensibly set in the same universe as Sword Art Online, but don’t let that dissuade you, as it’s a completely different story about a boy getting involved in an underground online VR game. This time the software involved accelerates the thought processes and reflexes so much, that you don’t wind up being distracted by questions like, “What’s happening to their bodies in the real world while they spend hours or even days online?” I also find the characters and the story to be a lot more likeable, and Accel World has the unlikeliest protagonist that you can imagine. 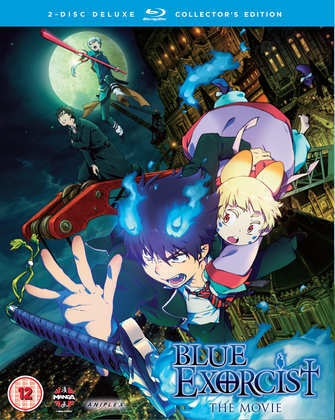 Manga Entertainment released Blue Exorcist: The Movie last Monday on DVD and Blu-ray/DVD combo. MVM will release Girls Und Panzer OVAs on DVD on June 16th and Blu-ray on June 30th, while Accel World Part 1 comes out on DVD and Blu-ray on June 9th.